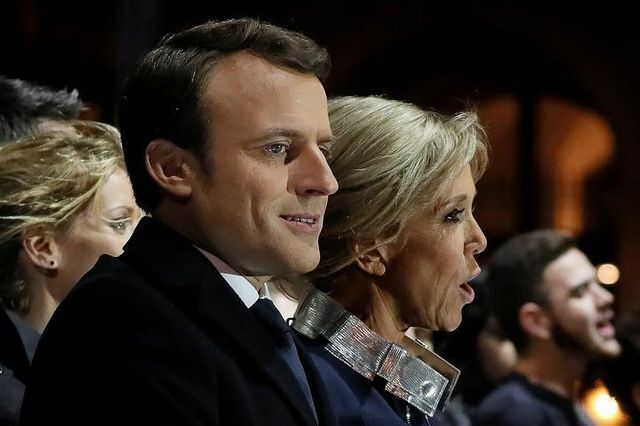 The election of Emmanuel Macron was a dramatic moment in French political history, as voters rejected both the far right and the political establishment. In the United Kingdom, in the midst of its own election, thoughts have turned to what the ascension of the young Europhile means for Brexit. Despite the British government’s relief that Marine Le Pen did not win, the new president is unlikely to soften the EU’s terms for Brexit. Mr Macron’s approach to Brexit is consistent with his forceful support for the European project. It is follows the negotiating principles laid out by the EU in the days after the referendum, which have been maintained, in public at least, ever since. These positions, repeatedly defined by EU leaders, seek an orderly process which establishes the UK as a third country without breaking the integrity of the “four freedoms”. This position was held by President Hollande, and his former protege has not deviated from it. Mr Macron’s sparse public comments on Brexit suggest irritation at the vagueness of the UK government’s stance, urging them to “pick a model”. Having pitched himself as the saviour of the bloc, he will not allow Theresa May to pursue access to EU rights without its responsibilities. The members of the EU27 do not want the UK to benefit from leaving, and Mr Macron is no different. The president-elect may affect the tactics of the talks, however, even if the EU’s negotiating priorities remain unchanged. His economic advisor, Jean Pisani-Ferry, has advocated maintaining security and economic ties alongside a transitional deal, aligning with the UK’s priority. Mr Macron has suggested renegotiating the Le Tourquet Treaty that allows the UK authorities to hold migrants back from the English Channel on the French side, however. The threat of a migration crisis will cause alarm in London, after anxieties regarding immigration drove support for the Leave campaign. The former investment banker is already seeking to lure London’s talented French expats and financial services businesses to Paris. His willingness to extend a transitional deal to allow the City access to EU markets is unknown, but unlikely. Mr Macron’s rapport with Angela Merkel suggests that the UK will struggle to drive a wedge between the Chancellery and the Elysee palace during the negotiations. Fundamentally, the equation remains unbalanced in the EU’s favour. The formidable bureaucracies of France and the EU are much better placed to cope with the mind-bending complexity of untangling the ties that bind the UK and the EU. Whitehall, on the other hand, was prevented from contingency planning for Brexit by the last prime minister. The civil service has also been weakened by decades of cuts and turf wars between the three departments responsible for the Brexit process. Mr Macron will maintain his pro-EU stance, but will be more focused on domestic challenges. Despite the power of the presidency, securing reform in France has always been difficult. His imperative is to introduce changes without driving a sceptical public into the arms of extremist candidates on the left and right. Now that the French electorate has rejected Ms Le Pen, who represented an existential threat to the European project, the presidency will be focused mitigating the security and economic risks facing France. As the Article 50 clock ticks, Mr Macron will be busier trying to solve the question posed by his predecessor, Charles de Gaulle; how can you govern a country which has two hundred and forty-six varieties of cheese? France's President-elect Emmanuel Macron will be tough in negotiations over the terms of Britain's departure from the European Union but will not seek to punish Britain, his economic adviser said on Monday. Jean Pisani-Ferry said that no-one had an interest in a hard Brexit that totally severs ties between Britain and the rest of the European Union once it leaves, saying there was a mutual interest in maintaining economic and security ties. If Macron wins, expect new Franco German drive after Sept German election to revitalize #EU. #Brexit not their priority.